Discover the power to transform surfaces. Easily wipe away grease and grime with fast, effective Whistle cleaning products. Whistle’s cleaning performance outpaces the competition with quick removal of soils and outstanding streak-free results. 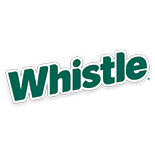 Whistle all-purpose cleaner is specially formulated with a unique ammoniated blend to remove heavy-duty build up from most surfaces. Specially formulated all purpose cleaner. Ideal for cleaning hard surfaces, counters, walls, glass, stainless steel, chrome, tiles, appliances, sinks, mirrors, and more.